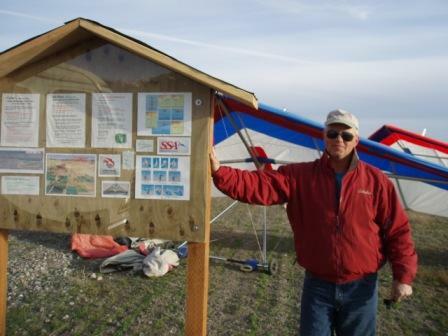 Located at 5500′ foot elevation in the Big Lost River Valley of Idaho, the King Mountain Glider Park has 17 Acres of airfield operations area (AOA) comprised of 4 basic components. 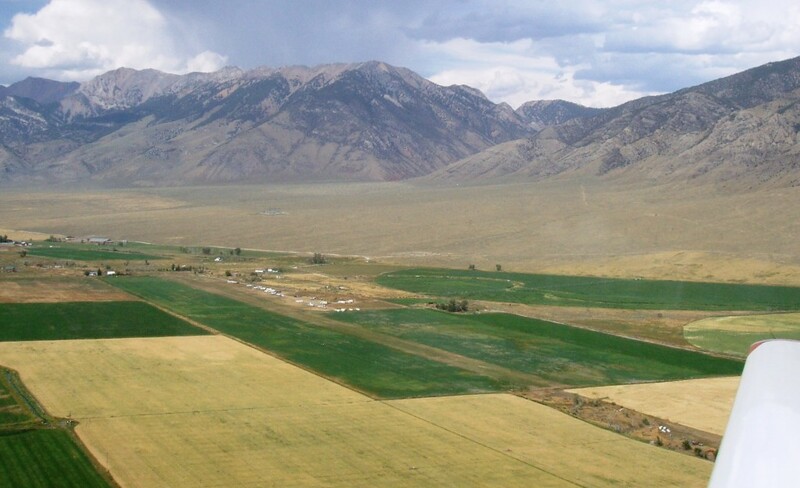 A 3900′ foot by 120′ foot turf runway which has been planted in drought resistant high altitude grass (not yet mature.) A 330′ cable tie down area (supplemented with 1000′ foot of additional tie down area adjoining the glider staging area.) A 500′ X 150 ‘ Hang Glider and Paraglider Landing Zone (LZ.) And finally, an ample glider staging area with an observers parking lot at the main entrance. Alan Paylor our good friend and long time flyer at King.